Morgan Silver Dollars were minted from 1878 to 1904 and again in 1921. The key business strike in the series is the 1893 San Francisco Mint issue. 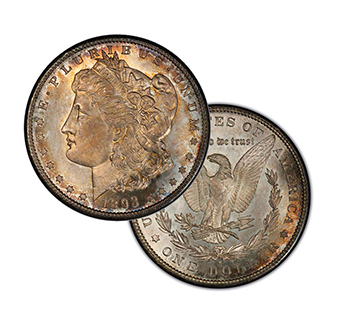 On Oct. 2, in Las Vegas, Legend Rare Coin Auctions sold the second or third finest known 1893-S Morgan for $646,250. This 1893-S silver dollar was formerly in the collection of Louis Eliasberg, the all-time greatest assemblage of U.S. coins. It is PCGS graded MS-65 and has a CAC sticker of approval. By tradition, coins that grade 65 or higher are regarded as ‘gem quality.’ The CAC itself was the buyer of this coin. The cataloguer or a partner of the Legend firm estimated that this coin would sell for an amount between $650,000 and $750,000. Is the $646,250 result weak? 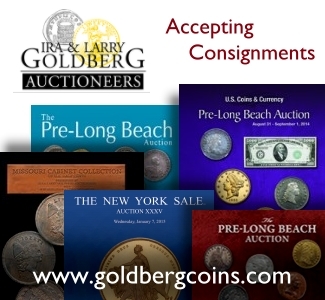 A moderate auction price tends to be around the border of wholesale and retail price ranges. Although I find the $646,250 result to be around that border, I do not spend much time tracking gem quality, business strike Morgans. John Albanese frequently trades them. John is the president and founder of CAC. 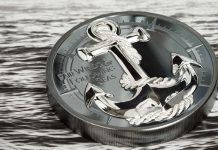 Albanese states that he “was pleasantly surprised to be able to buy this coin for a wholesale price.” Albanese figures that “it might have gone another few [bidding] increments” at the auction. John notes that many of the ‘common dates’ in the same auction brought retail prices. In my view, demand for true MS-65 and higher grade Morgans is not currently near the levels attained during the period from 2006 to 2008, and is even a little less intense now than such demand was in 2010 or 2011. 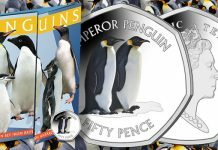 Indeed, this same coin would probably have sold for more if it was auctioned in 2006, 2007, early 2008, 2010 or 2011. Yes, it is true that the Norweb 1893-S, before it was harmed by ‘conservation,’ and the Vermeule 1893-S have each sold privately for amounts in the range of $700,000 to $1.1 million. These, though were of substantially higher quality than this Eliasberg 1893-S and the Vermeule 1893-S still is of much higher quality than the Eliasberg 1893-S. This $646,250 result is an auction record for an 1893-S dollar. The overall auction record for a Morgan Dollar is probably the $881,250 price realized for the PCGS graded MS-68, Eliasberg 1889-CC, which sold in the Stack’s-Bowers Rarities Night event of August 15, 2013. The Vermeule 1893-S was PCGS graded MS-67 before 2005. It may have been so graded shortly after Stack’s auctioned it in Nov. 2001 as part of a consignment from the personal collection of Cornelius Vermeule III. 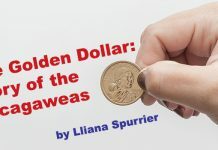 He is best known to coin collectors as the author of a book about the artistic attributes and aesthetics of U.S. coinage. Vermeule was a curator of classical art at the Museum of Fine Arts in Boston from 1957 to 1996. The assigned MS-67 grade is not controversial. There is much agreement among relevant dealers and sophisticated collectors that the Vermeule coin truly grades MS-67 and became the finest known 1893-S after the Norweb coin was ‘conserved.’ Also, the Vermeule 1893-S is CAC approved. The Vermeule 1893-S was in the second set of high quality Morgans that was formed by the late Jack Lee. 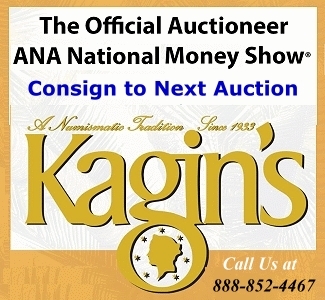 He consigned it to an ANR auction in March 2005. It did not then sell. A commitment to pay at least $690,000, maybe much more, would have been required to buy it in March 2005. Later, it sold privately for more than $1 million when it was placed in the Coronet Collection in 2008. 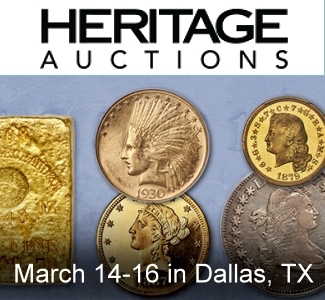 The Norweb 1893-S WAS of higher quality than the Vermeule 1893-S. At the Norweb III sale by Bowers & Merena in Nov. 1988, the Norweb 1893-S and the Philadelphia Paquet 1861 Double Eagle were the two most talked about coins in the auction, though some experts suggest that the Norweb 1797 half dollar is more exciting and important. The Norweb 1893-S realized $357,500, which was then, far and away, a record price for any Morgan Dollar. Although someone else later publicly claimed to have been, I believe that Ed Milas was the successful bidder. I discussed the Norweb 1893-S and the bidding excitement with Milas on a few occasions. As far as I know, a Morgan Dollar had never before sold for as much as $125,000! Jay Parrino purchased the coin during the 1990s. 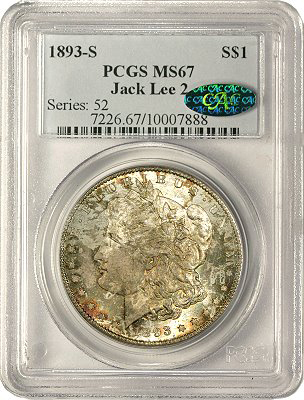 Eventually, it was in Jack Lee’s “first set” of high quality Morgans, the “All-Time Finest” set in the PCGS registry. The Norweb 1893-S was known for wonderful, original gray and russet toning. It is also true that it scores high in the technical category; there are minimal abrasions. It was submitted to PCGS in 1988, soon after the Norweb III auction in New York. Two PCGS graders favored assigning a grade higher than MS-67 to this coin! Most experts, though, assigned a grade in the middle of the MS-67 range to the Norweb 1893-S. In my view, it would merit a grade of around 67.5 or 67.6 now, if it had never been ‘conserved,’ though no one should take grades to the tenth of a point too seriously. The Vermeule 1893-S grades perhaps 67.3 or 67.4, in terms of current standards. The original toning was forever destroyed. The coin became characterized by a nearly uniform, gray-white chalk color, which appeared unnatural and irritating. Hopefully, it has since naturally retoned to a noticeable extent. If the Norweb 1893-S had never been conserved, it would have sold for at least $850,000 in Aug. 2011, probably more than $1 million, maybe as much as $1.25 million! Although it is now in a holder with a “MS-66” grade, relevant experts who I know graded it as “MS-65” in 2011. As the Norweb 1893-S has such an incredibly small number of abrasions, which are hardly noticeable, could any leading dealer in Morgans grade it below ‘MS-65’? 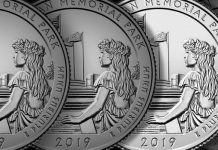 It is not unusual for a very unnaturally white Morgan Dollar to be assigned a MS-65 grade via the application of generally accepted grading standards. In my view, the Norweb 1893-S is, at best, the fifth finest known, clearly behind the Vermeule, Eliasberg-Sunnywood, Amon Carter and ‘Lord Baltimore’ coins. There could be additional 1893-S dollars, which have not been publicly seen in a while, that are superior to the Norweb 1893-S as well. I do not believe I have ever seen the PCGS graded MS-65, Antelope Valley 1893-S. While many experts believe that this Eliasberg-Sunnywood-Simpson 1893-S is the second finest known, I am not so sure. I would like to see the Amon Carter 1893-S again and the others that are listed as gems in “The Morgan and Peace Dollar Textbook” by Wayne Miller (Louisiana: Adam Smith Publishing, 1983). Steve Ivy and Ron Howard discuss some of the same high quality 1893-S dollars in their book, “What Every Silver Dollar Buyer Should Know ” (Dallas: Ivy Press, 1984). 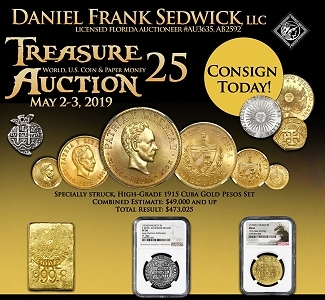 It is probably true, as the recent Legend catalogue indicates, that the Eliasberg 1893-S is the most colorful of all the 1893-S Morgans that have been PCGS or NGC graded as MS-65 or higher. Indisputably, the Eliasberg 1893-S is a terrific coin. It has natural and attractive color, much pleasing luster, and fewer abrasions than most MS-65 grade Morgans. It is not surprising that the Eliasberg 1893-S has a CAC sticker of approval. I do not know one expert who regards its grade as being below MS-65. The collector known as ‘Sunnywood’ has an excellent reputation for collecting gem quality silver coins with colorful, natural toning. He recently acquired the fabulous, JAS-Gardner 1901-S Barber Quarter. Earlier, Sunnywood completed a set of colorful Barber Quarters that was sold privately in 2009, though not to Simpson who then acquired the whole Sunnywood set of Morgans. Before being acquired by ‘Sunnywood,’ the Eliasberg 1893-S was in the “Stellar Collection,” which included an assortment of high quality, famous rarities, some of which this collector still owns. In the past, the Eliasberg 1904-S Barber Half Dollar was in the Stellar Collection as well. 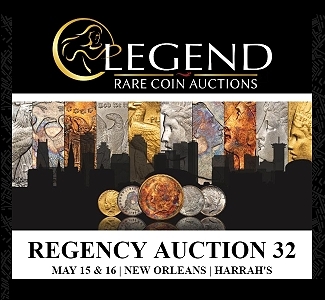 The Lelan Rogers 1794 silver dollar has been in the Stellar Collection for more than fifteen years. Recently, it was upgraded by PCGS from MS-66 to MS-66+. In Jan. 2013, I explained that the Rogers 1794 was a tenth or two of point higher in numerical grade than the Carter 1794 dollar. In my view, however, as a spectacular Specimen Striking, the Carter 1794 is more appealing and vastly more important than the Rogers 1794, which is a wonderful coin. There are also important quarters and copper coins in the Stellar Collection. The Amon Carter 1893-S is also famous and was PCGS graded MS-65 more than twenty years ago. According to the Heritage online archives, it was auctioned for $154,000 in March 1995 in Atlanta. Although this price seems like a low auction result now, $154,000 was a fair, moderate price at the time. On the whole, markets for rare U.S. coins were not faring well in 1993. Before 1988, relevant experts did not know or had no recollection of the respective qualities of the Norweb, Eliasberg and Vermeule 1893-S Morgans. The Amon Carter Collection coin was then sometimes considered to be the finest known 1893-S. I saw the Amon Carter 1893-S, at least once, between 1989 and 1992. I recollect the Amon Carter 1893-S as being very much original, more so than than the vast majority of all PCGS graded MS-65 Morgans in general, and I have seen thousands of those. If its appearance is the same or almost the same now as it was when I viewed the Amon Carter 1893-S more than twenty years ago, then it is the in the same category as the Eliasberg 1893-S. I cannot now put forth a view now as to which is of higher quality. The Amon Carter piece was auctioned by Superior Galleries, when was then owned by the Goldbergs, in Jan. 1986. A color plate in the auction catalogue, does reveal the substantial golden russet toning on this coin. 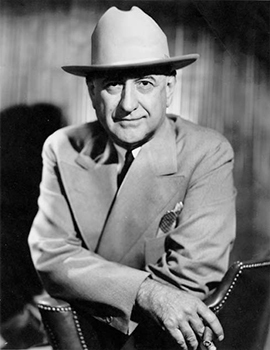 Amon Carter formed a tremendous coin collection and he specialized in silver dollars, along with Trade Dollars. 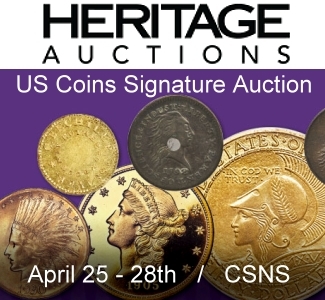 Most of his better U.S. coins were auctioned by Stack’s (New York) during Jan. 1984. 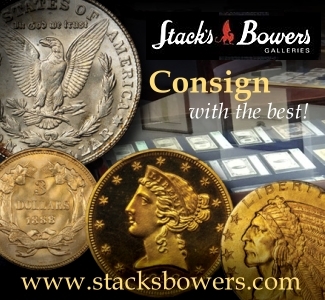 In Jan. 2013, Stack’s-Bowers auctioned the Amon Carter 1794 silver dollar for more than $10 million. V. Other Gem 1893-S Morgans? Besides the Eliasberg and Amon Carter 1893-S dollars, there are reportedly three other 1893-S Morgans that are PCGS graded MS-65. Two are NGC graded MS-65. The so called population reports thus suggest that a total of seven 1893-S Morgans are PCGS or NGC graded as MS-65. Besides the Eliasberg and Amon Carter coins, what are the pedigrees of other PCGS graded MS-65 1893-S Morgans? 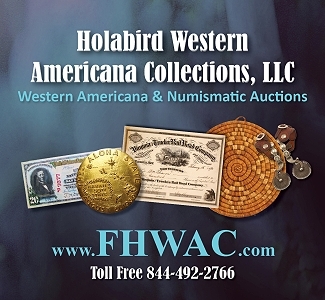 The Antelope Valley Collection of Morgan Dollars was auctioned by Bowers & Merena in Jan. 1993. I did not attend that sale and I do not recollect ever seeing the catalogue. I have been told that it contained a PCGS graded MS-65 1893-S dollar. The NGC graded MS-65 1893-S Morgans that I have seen, over a period of more than twenty years of attending coin auctions, tend to have a ‘washed out look,’ from multiple dippings and/or a long dip in a frighteningly strong solution. 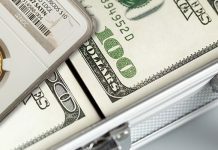 In the realm of coin collecting, the concept of dipping does not relate to soap or acetone; it refers to immersing a coin in an acidic solution with the idea that toning and metal particles, among other items, will be removed from the coin’s surface and the coin will be artificially brightened. 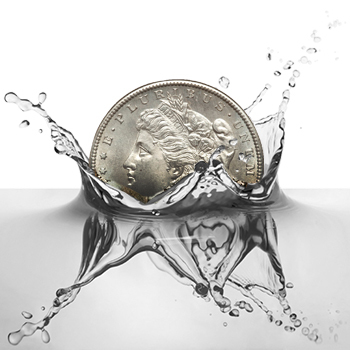 On average, collectors of Morgan Dollars have a far more favorable opinion of dipping than collectors of other classic U.S. silver coins. Even so, some dips are more harmful than other dips, and various awkward, off-white colors may come about. Indeed, though its luster was a little awkward, the ‘Lord Baltimore’ 1893-S was somewhat brilliant and dramatically better than most surviving, ‘mint state’ grade 1893-S Morgans. It has an incredibly small number of contact marks and is somewhat sharply struck. PCGS probably would have graded it as MS-64 in 2008, if it was removed from its NGC holder, and a 64 grade would then have been widely accepted by people who are very interested in high quality Morgans. Although it failed in 2008 to ‘cross’ into a PCGS holder at the MS-65 level, the ‘Lord Baltimore’ 1893-S may possibly have since been PCGS graded MS-65. As Morgan Dollars tend to have so many contact marks and other abrasions, strictly uncirculated coins that have very few such marks sometimes receive MS-65 or higher grades, even if they have not recovered well from a heavy dipping. Besides, most dipped silver coins noticeably and favorably retone over time. Bruce Amspacher was a co-founder of PCGS in 1986. He was a very influential dealer and commentator during the 1970s and 1980s. 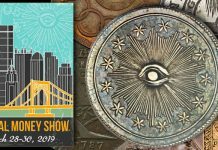 It is probably true that the high quality coin that Wayne Miller calls the Love-Rettew 1893-S is the same as the 1893-S dollar that was called the “Bruce Amspacher coin” in an auction catalogue by Bowers & Merena circa 1990. Miller does point out that Amspacher handled the Love-Rettew coin. In any event, I now have some recollection of the NGC graded MS-65 1893-S that Q. David Bowers referred to as the ‘Bruce Amspacher coin’ in an auction catalogue. I remember the amazing lack of contact marks, the very sharp strike and the oddly unnatural milk-white color. This may be the same as the Sanderson-Moser, NGC graded MS-65 1893-S that has appeared in at least four Heritage auctions, though I am far from being sure that this is the same coin. If it is the same coin, the Amspacher 1893-S may have naturally retoned to some extent over the years. The Sanderson-Moser, NGC graded MS-65 1893-S, before it was in either the Sanderson or Moser collections, was offered in the FUN auction of Jan. 1999, though it did not sell. Later, the Sanderson-Moser 1893-S was auctioned in Jan. 2009 for $299,000, in April 2013 for $258,500, and in April 2014 for $329,000. If most relevant bidders really graded this 1893-S as ‘MS-65,’ it probably would have realized more than $500,000 in at least one of these three auctions. My impression is that PCGS has, in the past, refused to certify the Sanderson-Moser 1893-S as grading MS-65 and I hypothesize that it would not be CAC approved, if submitted to CAC in 2014. If the Love-Rettew 1893-S, the Bruce Amspacher 1893-S, and the Sanderson-Moser 1893-S are all the same coin, then that and the ‘Lord Baltimore’ 1893-S are extremely likely to be the two that are currently, NGC graded MS-65. While the Amon Carter, Eliasberg-Sunnywood and Antelope Valley 1893-S dollars are three that are each PCGS graded MS-65, the identities of the other two that are supposedly PCGS graded MS-65 are a mystery now, as is the precise quality of the Antelope Valley piece. 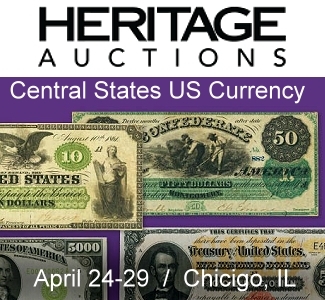 Readers are invited to contribute information regarding 1893-S dollars that grade or at least may grade MS-65 or higher. Of course, 1893-S dollars in all grades, even Good-04 or AG-03, are intensely demanded. This is the key business strike in the series. Buyers of MS-65 and higher grade Morgans, however, tend to be a group that is very different from the collectors who seek circulated Morgans. I will discuss circulated Morgans in the future. As usual, a well written and researched article.